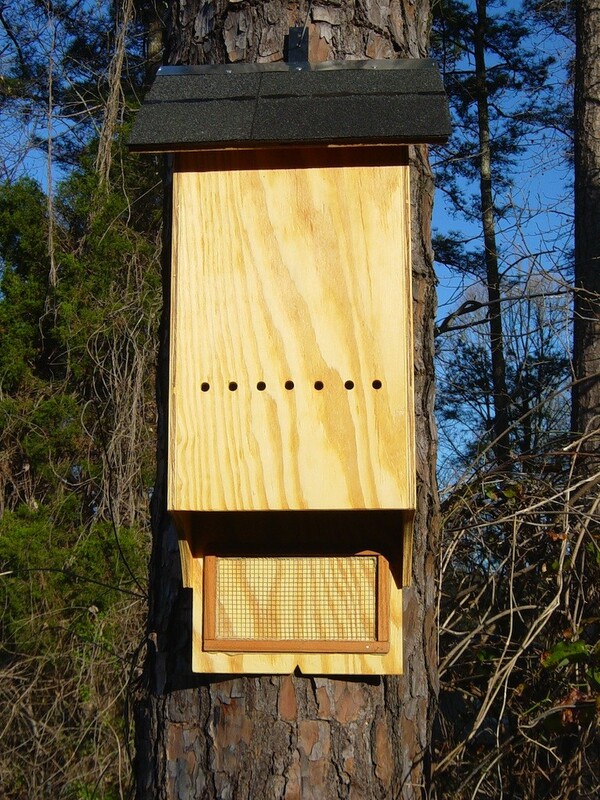 4 CHAMBER MEDIUM BAT HOUSE: This Bat house is essentially the same as the 2 chamber version but slightly larger. It features 4 Chambers and the dimensions are 40" Tall x 13" Wide x 7" Deep. Pictured above in both "Natural" (ITEM # 954326) and the darker "Walnut" (ITEM # 954324). We also offer it unfinished using sku # 954328 (not pictured). Unfinished houses can be painted any color so this may be considered if you wish to match a structure or something else in the landscape. 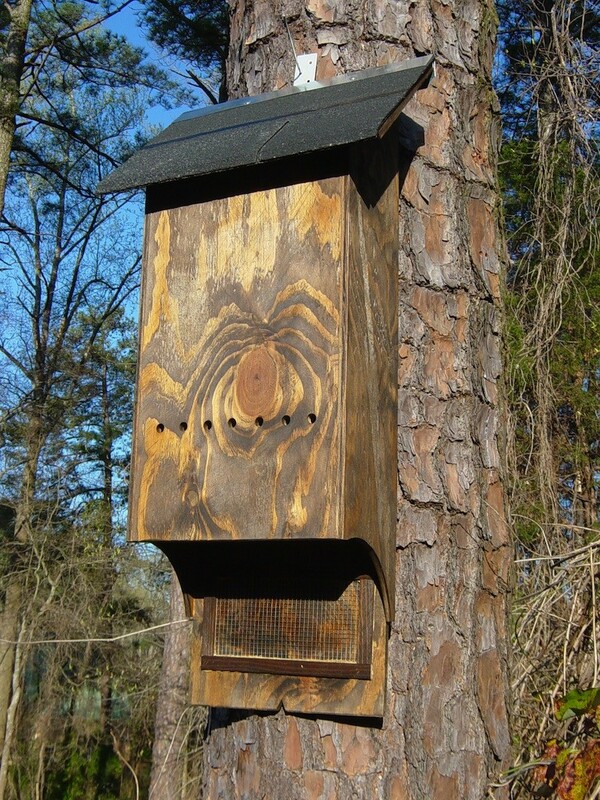 Like all our houses in this line, they feature hardware cloth throughout the inside providing a secure material for bats to rest. Hardware cloth is also used on the landing pad. This gives the bats something to hold onto when entering. 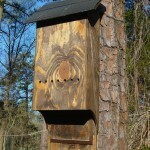 All seams and cracks are sealed to prevent parasites from easy access to nest sites. Each house has a shingled roof to keep water out and act as a solar collector for heating the house. There is an attic space which is sealed off from the main living chamber. This attic serves as a heat retainer as well as a noise buffer. Each house comes with a hanger so it is ready to be mounted. 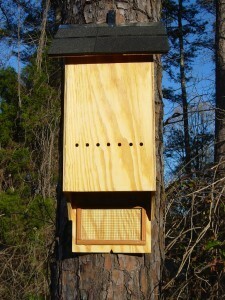 These 4 chamber houses will hold around 75-100 bats comfortably.